Since his astonishing portrayal of Canio in PAGLIACCI at Glimmerglass Opera, John Mac Master has been in demand at the highest international level for the dramatic tenor repertoire. Performances and recording projects include Florestan in FIDELIO with Sir Colin Davis in London, Beethoven’s Symphony No. 9 with Sir Bernard Haitink (both with the London Symphony Orchestra) and his debut at Dresden’s Semper Oper as Calaf in TURANDOT conducted by Fabio Luisi. Mr. Mac Master’s acclaimed Metropolitan Opera début came as Canio in PAGLIACCI in performances that included the Saturday Afternoon ‘Live from the Met’ radio broadcast. Of particular note was his assumption of the role of Tristan in TRISTAN UND ISOLDE for Welsh National Opera conducted by Mark Wigglesworth and a subsequent outing at the Met in this demanding role, with Levine in the pit. His schedule has also included performances of Verdi’s REQUIEM at the National Arts Centre in Ottawa with Zukerman, Aegisth in ELEKTRA for the Canadian Opera Company, Janacek’s GLAGOLITIC MASS with William Eddins and the Edmonton Symphony plus PAGLIACCI and ARIADNE AUF NAXOS (both for Vancouver Opera). Mr. Mac Master continues to be in demand for heroic repertoire and he has recently repeated a number of his signature roles including Florestan in FIDELIO for Edmonton Opera, and Herodes in SALOME with the Philadelphia Orchestra and the New Orleans Opera. On the concert stage he was featured in Mahler’s Symphony No. 8 with the Toronto Symphony, Beethoven’s Symphony No. 9 for the Seattle Symphony and the Victoria Symphony, and an Opera Gala for the Colorado Symphony. He was heard in Verdi’s REQUIEM for the Vail Valley Festival in Colorado (Philadelphia Orchestra) and with Orchestre Metropolitain in Montreal (both conducted by Nezet-Seguin), the title role in OTELLO for Calgary Opera, DEAD MAN WALKING for Opéra de Montréal and Beethoven’s Symphony No. 9 with Symphony Nova Scotia. He was heard with the Colorado Symphony in Beethoven’s Symphony No. 9 and looks forward to Aegisth in ELEKTRA for l’Opéra de Montréal and Verdi’s REQUIEM with the Laval Symphony. Highlights of past seasons included PAGLIACCI for Kentucky Opera, GLAGOLITIC MASS in Atlanta, at Carnegie Hall and with the Toronto Symphony, Herodes in SALOME for Opéra de Montréal, Mahler’s DAS LIED VON DER ERDE for Vancouver Symphony, THE EMPEROR OF ATLANTIS for Boston Lyric Opera, Florestan in FIDELIO in Rotterdam with Gergiev, Beethoven’s Symphony No. 9 in Dallas and in Italy, France and Germany for concert performances of TRISTAN UND ISOLDE with Daniel Harding and the Mahler Chamber Orchestra. Mahler’s Symphony No. 8 claimed his attention in Vancouver conducted by Tovey, followed by THE DREAM OF GERONTIUS with the Grand Philharmonic Choir, performances and a recording of EURYANTHE at Warsaw’s Beethoven Festival and the title role in OTELLO for Edmonton Opera. He was heard at Ottawa’s National Arts Centre and in Montréal at Place des Arts with Nézet-Séguin in Mahler’s Symphony No. 8 and in Verdi’s REQUIEM for Orchestre Symphonique de Québec. Among Mr. Mac Master’s many credits are OTELLO for Kentucky Opera, Beethoven’s Symphony No. 9 for the Seattle Symphony and Orchestra London Ontario. Yannick Nézet-Séguin conducted him in DAS LIED VON DER ERDE with Orchestre Métropolitain du Grand Montréal and he sang Herodes in SALOME with Vancouver Opera. In Las Palmas for Albeniz’ HENRY CLIFFORD, he was Bacchus in ARIADNE AUF NAXOS for Australia’s Victorian Opera and tenor soloist in Elgar’s DREAM OF GERONTIUS for Carlos Kalmar and the Grant Park Festival in Chicago. The tri-lingual tenor’s past seasons have also included his debut in London and Birmingham in the GLAGOLITIC MASS conducted by Sir Charles Mackerras, Erik in DER FLIEGENDE HOLLÄNDER for Vancouver Opera and a New Year’s Eve Opera Gala at the Great Hall of the People in Beijing with the London Philharmonic. Further credits include Calaf (TURANDOT) for l’Opéra de Québec, Canio (PAGLIACCI) with Opera Pacific (California), Manrico in IL TROVATORE for Orchestra London, Beethoven’s Symphony No. 9 with the Toronto Symphony and Mahler’s Symphony No. 8 with the Singapore Symphony and a staged presentation of Verdi’s REQUIEM at Ottawa’s National Arts Centre. He was at L’Opéra de Montréal for Canio in PAGLIACCI and has appeared for the Canadian Opera Company as Laca in JENUFA and Aegisth in ELEKTRA. 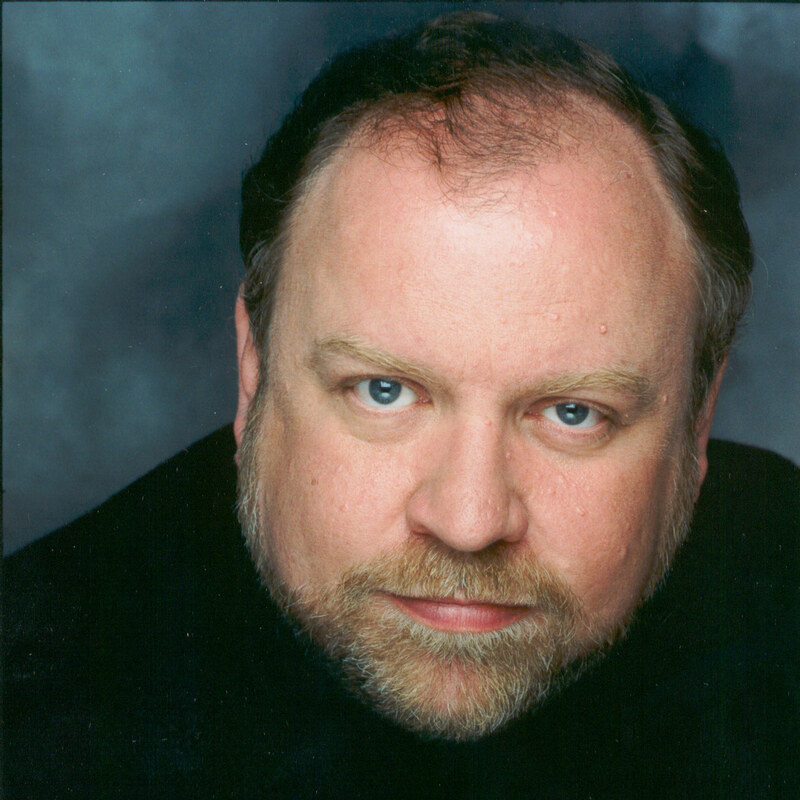 Mr. Mac Master has been hailed in Detroit and Montreal for his searing PETER GRIMES, and while at the Volksoper in Vienna, he starred as Hoffegut in Braunfels’ DIE VÖGEL, Grigory in BORIS GODUNOV, Pollione in NORMA and the title role in Offenbach’s RITTER BLAUBART. He sang Manrico in IL TROVATORE for Ottawa’s Opera Lyra and has also been featured at Paris’ Opera Bastille and New York City Opera. His debut at the Frankfurt and Stuttgart operas came as Herodes in SALOME, one of his previous assignments at the San Francisco Opera where he was also featured as Aegisth in ELEKTRA. He debuted in Innsbruck as the Beast/Liar in Langgaard’s ANTICHRIST and other roles in his repertoire include Don Jose and Turiddu. As a concert artist, he was in Winnipeg for Mahler’s DAS LIED VON DER ERDE and in Edmonton for Mahler’s Symphony No. 8. In Europe he sang with the Brno State Philharmonic as Handel’s JUDAS MACCABAEUS in Poland, Hungary, Slovakia and the Czech Republic. Mr. Mac Master has also appeared with the Windsor Symphony, the Fairfield County Chorale of Connecticut, in Stadt Vilach, Austria and Stavanger, Norway. Other credits include appearances at the Shaw Festival and on Winnipeg’s Rainbow Stage. A Canadian citizen with U.S. Permanent Resident Status, he was featured in PHANTOM OF THE OPERA as Ubaldo Piangi, both on Broadway and in Toronto. In addition to Beethoven’s FIDELIO and Ninth Symphony on LSO Live, and EURYANTHE with the Polish Radio Orchestra, his recordings include Prokofiev’s LOVE FOR THREE ORANGES on the Chandos label, Langgaard’s ANTICHRIST for Danachord, Handel’s BERENICE with Rudolph Palmer and the Manhattan Chamber Orchestra (Newport Classics) and Saint Saëns’ REQUIEM for Premier Records.